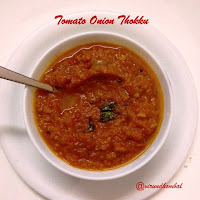 The simplest and tastiest side dish which can be prepared within 20 minutes is Tomato onion thokku. It's easy to make and goes well with roti, idly, dosa and pongal. This thokku is a perfect side dish for school lunches, a quick weeknight side dish and also for your travel foods. 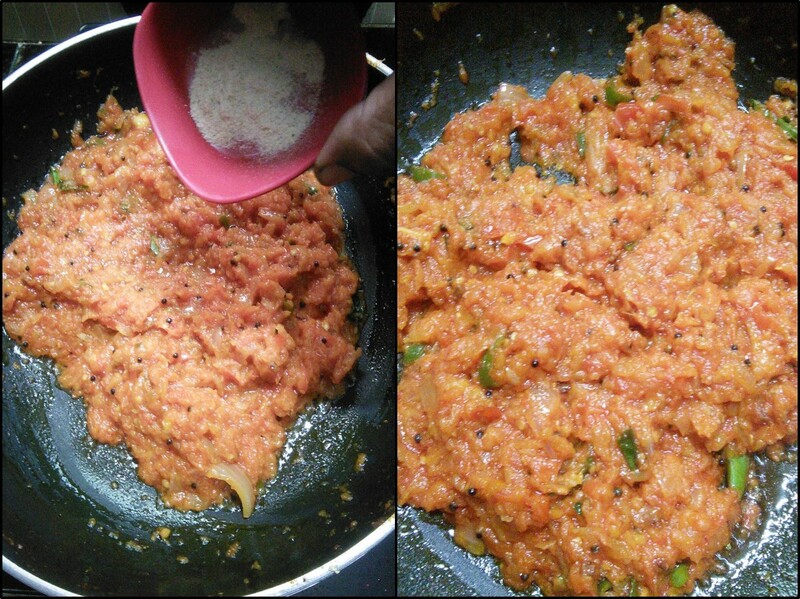 Try this yummy thokku and definitely it will be your family favourite. 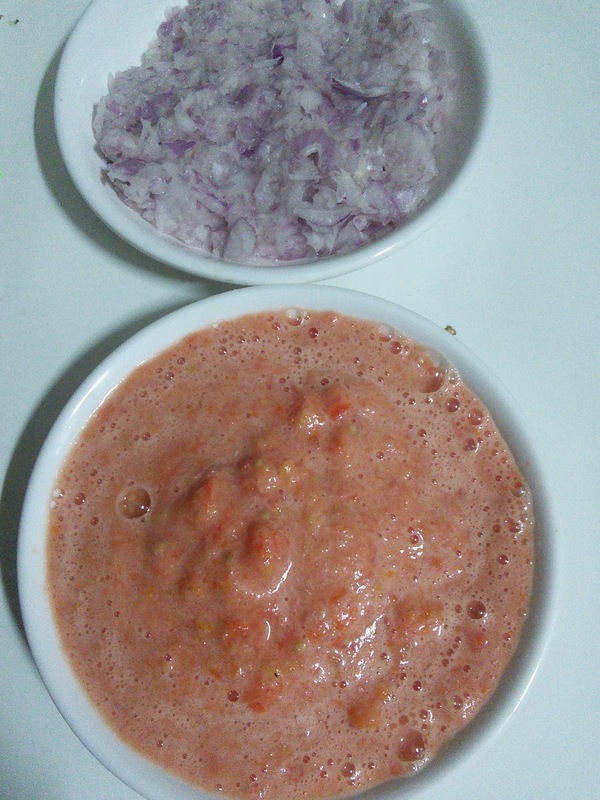 The simplest and tastiest side dish which can be prepared within 20 minutes is Tomato onion thokku. Dice the onions. Slice the tomatoes. Chop the green chillies. Add the diced onions in your mixer jar and pulse it for 3 to 5 times. Then remove the paste from the jar. Then add the sliced tomatoes in the same jar and pulse it for 2 times and then grind it. Don't want to add any water. Heat oil in a thick broad kadai and add the fenugreek. When it turns brown add the mustard and urid dal. When they turn golden brown, add the ground onion paste and green chilly. Stir it continuously for 3 minutes. The onion paste will absorb the oil and it gets thick. 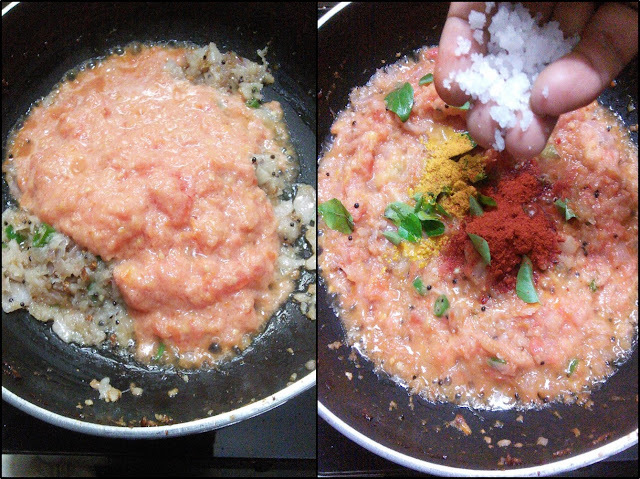 Then add the tomato paste,mix them evenly and add the required salt, turmeric powder, chilly powder and curry leaves to it. 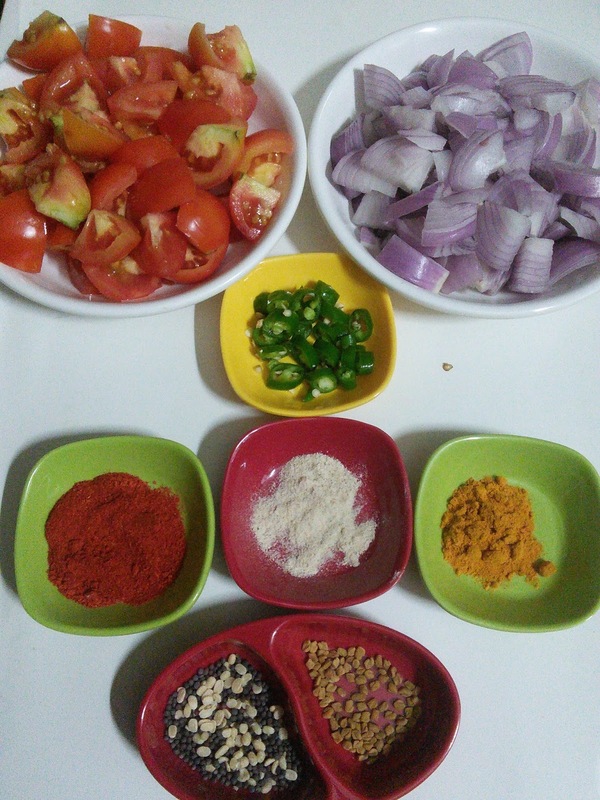 Cook them in medium flame for 7 to 10 minutes or till the tomatoes are softened, while stirring occasionally. When all the water evaporates and it gets slightly thick, add the asafoetida powder to it. 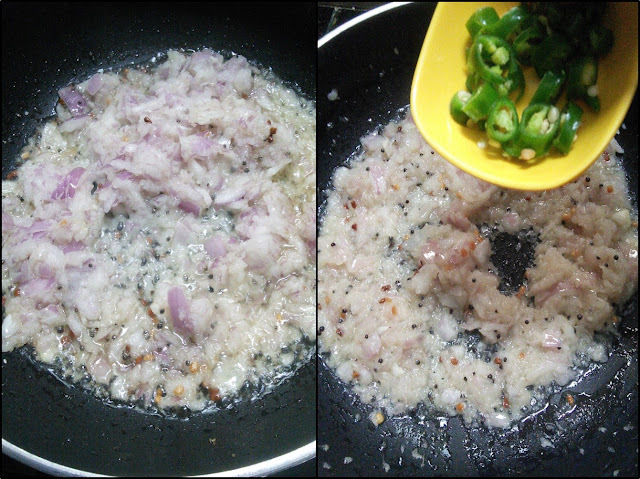 Cook till the oil floats on the top of the thokku and remove from flame. Dice the onions. Slice the tomatoes. Chop the green chillies. Add the diced onions in your mixer jar and pulse it for 3 to 5 times. Then remove the paste from the jar. Then add the sliced tomatoes in the same jar and pulse it for 2 times and then grind it. Don't want to add any water. You can adjust the hotness of it by adding more chilly powder. If you prefer chunky thokku then it's better to chop the onions and tomatoes finely by hand. It will taste good if you use fresh ripe and unrefrigerated tomatoes.